Varying circumstances whether big or small, can make us weighed down. We all as individuals regularly go through distressing circumstances. Some familiar instances are; relationship issues, a demanding job, school problems, work and family responsibilities or demise of a dear one. All these instances have common thing that characterizes them — stress. Learning how to manage stress is imperative if we want to live a satisfying, healthy life. So today you’ll find out some practical tips that’ll help you manage stress. But before that let’s briefly examine why humans get stressed out. Stress is simply how we respond to various circumstances. While a few people may resist the urge to panic, some others may get terrified and worried because of an ordinary activity. All humans have instinctive stress response, and that can be very good for the body. However, stress, if extreme, can be dangerous. Our body has a “fight or flight” reaction when we encounter distressing circumstances. During this process, our body discharges a few hormones, like adrenal and cortisol. These hormones are called stress hormones, because they help your body react to a stressful circumstance m Be that as it may, when stress then becomes a common issue, this “fight or-flight” reaction goes on repeatedly. This is the where stress management is required, since it furnishes you with a plethora of devices to battle your anxiety. Now that we have figured out why we stress, let’s find out how we can effectively manage stress. The first tip to manage stress is to find out the causes of your stress. Many would say obvious things like, a demanding career or school workload. But, it could be better to know of your thoughts, mindset or feelings are responsible, so focus on the activating component of your anxiety. This component can also be anything, ranging from your association with your peers or mate, your children, your occupation, your money related issue, or whatever else that matters to you somehow or the other. A lot of people have a wrong approach to manage stress. These wrong approach involves engaging in unhealthy habits under the guise of managing stress. Stress eating is a good example of a wrong stress management strategy. Others include; smoking, drinking alcohol, withdrawing from people, oversleeping and procrastinating. All these unhealthy habits of coping with stress can be damaging to your mental and physical health. You should stick to the healthy ways you can manage stress, which you shall learn in this article. The next tip to manage stress is to reach out for help from others. This involves talking about your problems to close family members, trusted friends and even a psychologist. Requesting help from others might even be the solution to help you in a difficult circumstance. Do not overlook engaging in any physical activity whatsoever, whenever and especially when you are feeling stressed out. Physical exercise of any sort is an incredible anxiety reliever. It helps release endorphins that will make you happier. Exercising is also a great way to improve your mental health. Poor time management is a leading cause of stress especially, school or job related stress. There are some health tips for managing time that you should know about. Set your priorities right and be disciplined when keeping to them, don’t allow the work to pile up. One useful tip is to do ssignificant work no matter how little each week, day or hour and you will definitely avoid such stress. Laughter is the best medication. Unquestionably, each of your ailments is not treatable alone by your giggling, but laughter can cure some diseases. In any case, it absolutely helps you rest easy and feel less anxious. You feel lighter rationally. Watching comedy movies and spending time with your fun peers will definitely get you to laugh. No matter how stressful a condition might seem, never deprive yourself from getting sufficient sleep each night i.e. around 7-8 hours. When you rest soundly, you feel well, and you respond well. situation, reflect on them and learn them. Setting out little time to engage in hobbies you find fun and interesting is another great way to manage stress and relieve yourself of anxiety. For example, some of my most relaxing hobbies are playing video games and watching movies. So create a little time, to enjoy your hobbies. Stress triggers are things that get you to stress, they could be like the situations we mentioned earlier, but they could be more. Sometimes, we are responsible for our stress. For example, if we procrastinate a lot we might get swamped with work and get stressed out or if you always fill your mind with negative thoughts you are also responsible for your stress. Eliminate your stress triggers whether physical, mental or emotional. Also, remember that they are circumstances you can’t change and avoid stressing yourself about those situations. To finish up, stress might be identified with a positive or a negative circumstance. Ensure you gage your anxiety level remembering both the perspectives. Not all of a sudden, but rather bit by bit, you will figure out how to deal with your stress in the most secure and best way. Stay Healthy! 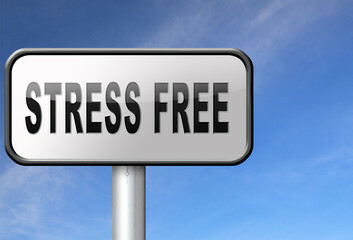 Stay Stress-free!! Stress management is really important as according to Consumer Health Digest it can greatly affect ones mental health. I really need stress management in my life right now. This article is good to read as it showcase ways to reduce stress and in the most natural way to boot. Thanks for this. Thanks for the kind words. I'm glad you found it beneficial.